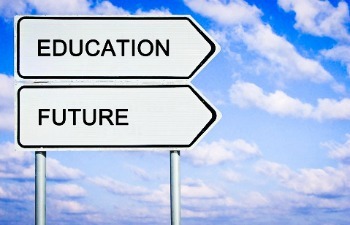 Innovation in Education: Is Privatization the Answer? A good education can spell the difference between a life full of opportunities and one that is devoid of it. Educated people have the edge in a market that has grown global and competitive. From learning your ABC’s and 123’s to comprehending the most complex concepts in your chosen field, it is the role of the educational system to educate its youth in the ways of the world. Today, people educate themselves through the Internet and not from regular classes. Social media took the world by storm and authority sites mushroomed everywhere. Far from the norm, anyone can create their own blogs and take the place of traditional journalists in disseminating information to the public. Education is no longer limited to what is taught in textbooks nor does it end once you step out of the four corners of the classroom with the numerous advancements in technology. Today’s kids are more open to embracing all the changes around them but are they educated enough to remain competitive after graduation? Has our educational system learned to innovate and keep up with all the changes? Despite his strong stance on international trade and immigration reforms, it seems as if President Trump has no clear plan yet when it comes to education along with an even more controversial Secretary of Education appointment whose plans involve privatizing the sector. “According to The Center for Research on Education Outcomes (CREDO) in 2013, which compared academic results between charter and traditional public schools across 26 states, only 29 percent of charters studied performed stronger than traditional school counterparts in math, whereas 31 percent performed weaker and 40 percent showed no notable difference. In its 2015 study on the state of Texas, which is notorious for having poor-performing charter schools, students lost 14 days of learning in reading and 29 days of learning in math (based on a 180-day school year), as compared to peers attending traditional public schools. Meanwhile, there are suggestions for supporting public education considering that the economy has already bounced back and this support is now doable. The aim is to put the children first for a brighter future for the country. “Among the provisions are a 10-percent raise to bring teacher salaries up to a $55,000 average by 2019. School-based administrators would also see their pay increased by an average of 6.5 percent and all other state employees by 2 percent or $800, whichever is higher, the Journal’s Arika Herron reported. The governor’s budget supports early childhood education for an additional 4,700 Pre-K spots as well as childcare subsidies. It supports restoring the Child Care Tax Credit, which would certainly help working families. All of us are hoping for better education reforms from the new administration. With the annual tuition fees continually rising, more and more American youth fail to graduate with good scores or make it to college. What’s even more concerning is that they perform poorly in class during primary and secondary school. Making new laws that address the current school issues is just the start of this journey and we hope it begins today. Culture, technology and where they meet in the middle.